Dark circles under the eyes are something many women find frustrating. If you ask almost any sleep-deprived college student or mother of small children what bothers her the most about her skin, she will tell you that it is her dark undereye circles. Sleep deprivation is only one cause of dark circles, though. Having dark circles under the eyes is actually a very common problem. We’re going to take a look at some of the causes of dark undereye circles and share some beauty tips and tricks that may just help eliminate the problem. We mentioned sleep deprivation earlier. If you are chronically tired, you are more likely to suffer from dark circles. Other causes include seasonal allergies such as hay fever, having very fair skin, dehydration, anemia, and sun exposure. More serious health issues causing fluid retention also can contribute to the appearance of dark undereye circles. Taking a two-step approach using both skincare and makeup products is necessary for treating dark circles. Look for an eye cream with Vitamin K as a leading ingredient. Vitamin K is often recommended because it can help to fade the dark color and reduce the puffiness that is often associated with dark undereye circles. 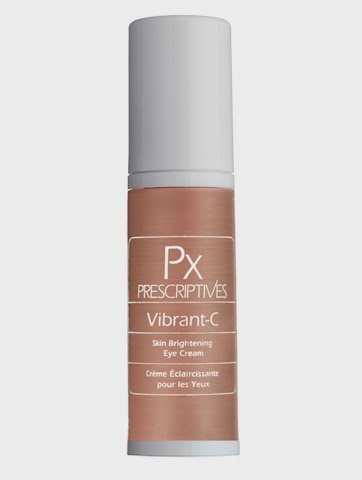 Vitamin C also can have a brightening effect. Retinol is also recommended because it not only has the ability to help with the discoloration, but it also can help reduce the dryness. Hyaluronic Acid and Amino Acids are also recommended for dark circles because they have been shown to boost levels of collagen which takes away from that “hollow” look under the eyes that so many people with dark circles suffer from. Years ago, the top recommendation for covering dark circles was to find a yellow concealer. We now know that this actually accentuates the problem. Avoid the thick yellow concealers. I think back to my college days when I would purchase the yellow wand concealer from Lancome, Maqui Complet, to conceal my circles caused by too little sleep. In reality, this only accentuated the problem. Finding an undereye concealer with brightening properties is the best solution. You also want it to be a shade very similar to your skin tone. If it is lighter, it will only give the appearance of a light ring around the eyes. Products labeled “luminizing”, “brightening” or “light diffusing” work best to conceal dark circles. Brush-on and roll-on concealers are the best formulas for dark circles because they apply seamlessly and will not accentuate darkness. Apply damp mint leaves to the undereye area to soothe dryness or puffiness. You can also apply tomato paste to the undereye area helps to increase brightness in the skin, which may help improve the darkness. Drink 6-8 glasses of water daily. Not only is this good for your health, but it can help to fade the dark circles since you won’t be dehydrated.